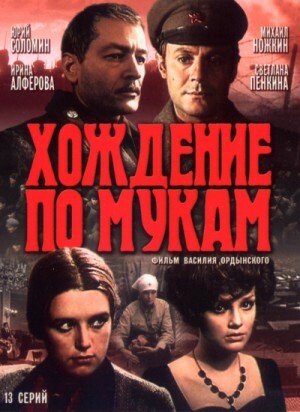 An epopee based on the novel by Aleksei Tolstoy. This film tells a story of Russian intellectuals who eventually convert to Bolshevism during the Civil War (this ending was added by Tolstoy under the pressure of Stalin's regime). It starts in 1914, with signs of this disturbing time such as fore-revolutionary bourgeois community and decadent intellectuals. Sisters Bylaviny, Dasha and Katya, their private life, love, hobbies and heart dramas are in the center. Dasha and engineer Telegin fall in love with each other, but World War I separates them for many years. After his injury on the front and captivity break, he comes back to St.Petersburg. Hunger, war, chaos and destruction reigns. Russia is on the edge of revolution. Dasha and Telegin get married and they are happy.